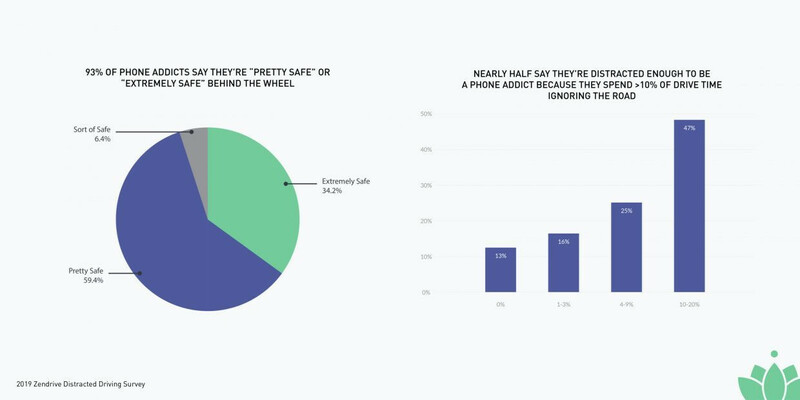 Part of the problem is that while 90% of the people surveyed claim to be safe drivers, 47% of them use their phones 10% or more of the times they are behind the wheel. 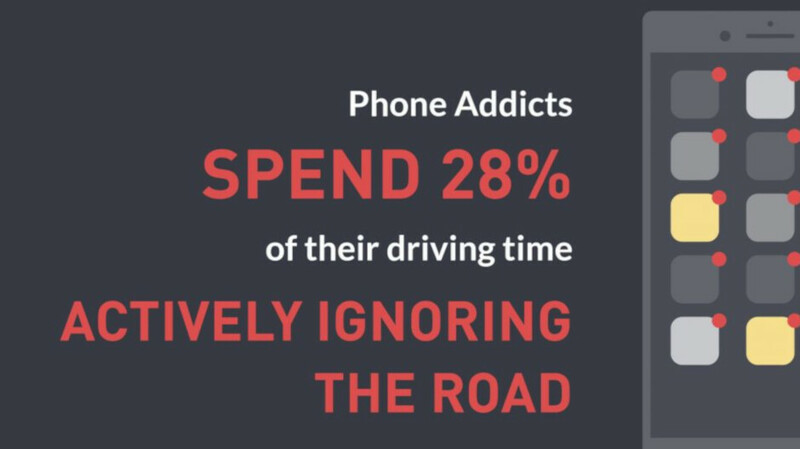 And those drivers distracted by their handsets are impaired even more than drunk drivers. One test found that someone driving while using his phone had the same difficulties as a person with a blood-alcohol level of .08%. In addition, smartphone users are more likely to crash, hit the brakes 9% slower, tend to follow the vehicle ahead of them too closely, and are 19% slower to resume normal speed after hitting the brakes. Zendrive cites a study from the AAA Foundation for Traffic Safety as stating that the highest number of drunk drivers are found on the road between midnight and 3 am. The peak times that you will find phone addicts on the road is between 7 am to 6 pm. This means that those drivers distracted by their phones are a bigger threat on the road than those who drink and drive. One thing that the analytical firm suggests is that before you get behind the wheel and start driving, you need to set up the auto responder feature on your phone. If you have an iPhone, that means enabling the Do Not Disturb While Driving mode. That setting will block any texts unless marked urgent and send a reply stating that you are driving and can't be bothered. The setting will also block calls except from a list of favorites. Or, if a person calls twice in a row, the second call will go through. If your iPhone is connected to a car speaker via Bluetooth, all calls will go through and you can have a conversation hands-free. On Android, there is a free app called Driving Detective that can be installed from the Google Play Store. The app can tell if you're driving, and if it does, it automatically toggles on the Do Not Disturb feature. Android users can decide whether to have all notifications blocked, or let messages from certain contacts, reminders, and alarms go through. Yet we are not going to do a damn thing about it. How hard is it to implement a block to texting once the phone is seen going above a certain speed? Because you can go above a certain speed while on the bus or on the train. Or even as a passenger. And then the app would need to have an option to be disabled in these three cases (at least). What would keep a driver to use the same option and disable such block? Nothing. And therefore the app would be useless.